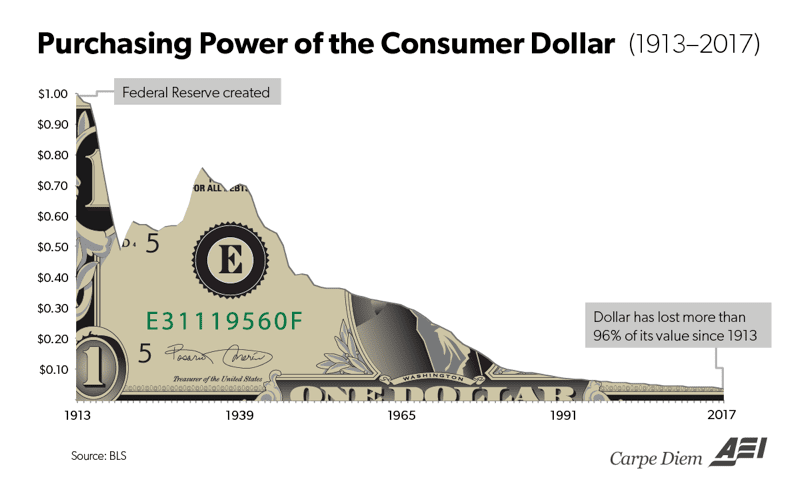 Many people have seen the charts that show the fact that ever since the U.S. adopted a private central bank back in 1913, the purchasing power of the dollar has lost between 96 and 98% of its value 104 years later. Meanwhile, there has only been one asset that has not only held its purchasing power over that time, but in fact appears to have exceeded the global reserve currency by a rate of 267%. And that asset of course is gold. 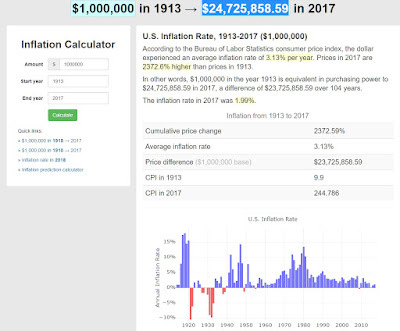 If you were to hold $1,000,000 in U.S. currency in 1913 at the advent of the Federal Reserve, your purchasing power would have been exactly what you held in cash. And this was primarily because the dollar was tied to gold at the moment of the central bank's introduction to the monetary system. 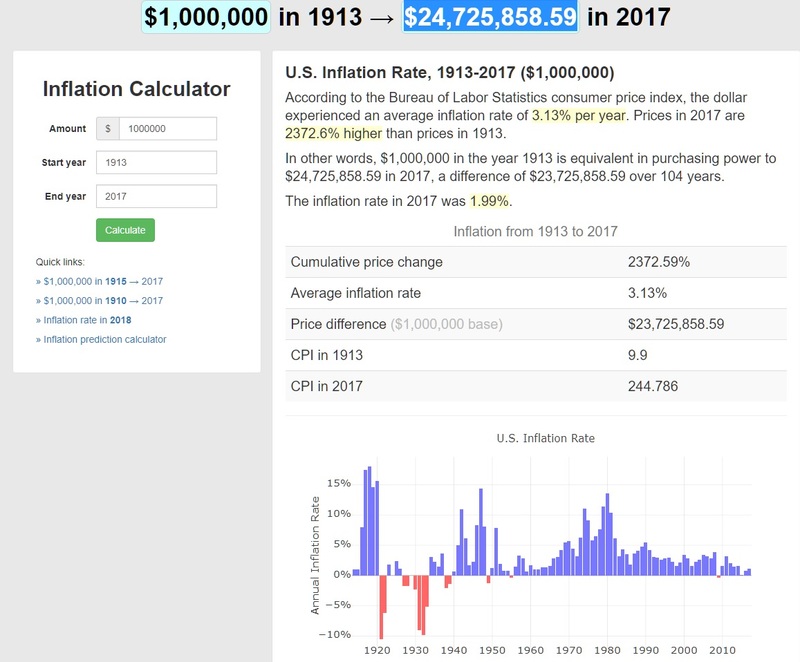 Also in 1913, gold was valued at $20.67. So $1,000,000 in gold would equate to owning 48,379 ounces. Now let's take a look at gold, and what its purchasing power would be if you had held $1,000,000 in bullion rather than dollars/Federal Reserve notes. So not only did gold hold onto its purchasing power in relation to the dollar over the past 104 years, but it actually provides you 267% more. In fact this amount of purchasing power for gold is probably even lower than it should be due to the fact that the gold price is manipulated and suppressed in the paper markets that currently determines the spot price. So in the end, perhaps those that vilify gold under the auspices that it doesn't provide a 'yield' like stocks and bonds do never actually look at the fact that gold is money, and is better comparable to purchasing power versus accumulation. Because you would need 24 times the amount of dollars you had in 1913 to buy the same amount of goods, but you wouldn't even have to have acquired a single additional ounce to be able to purchase nearly 3 times the amount of goods over that same period of time.